Shell-pink (H16) flowers which darken to pink (H8), XI–IV; mid-green foliage, the young shoots with cream tips in spring; height 26–30cm; spread 46–60cm. Seedling; found in James Smith's nursery (Darley Dale, Derbyshire, England); introduced by James Smith by 1900. 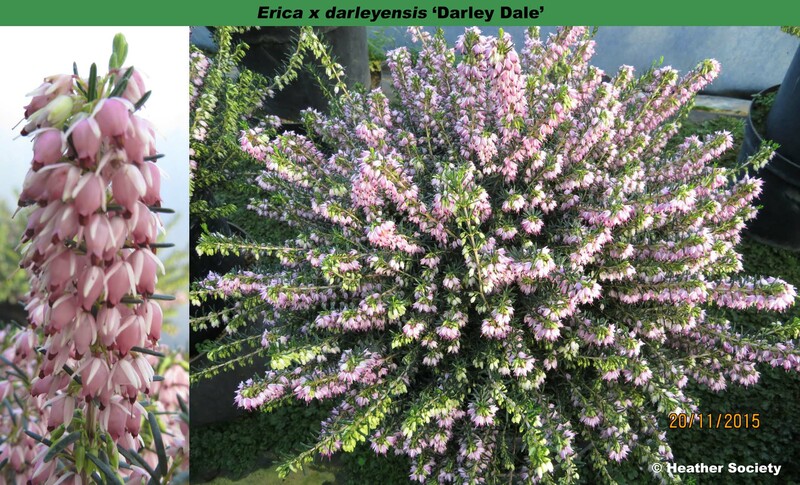 This name was in use by 1971; formerly called, inter alia, Erica hybrida darleyensis. Named after the nursery where it was discovered.